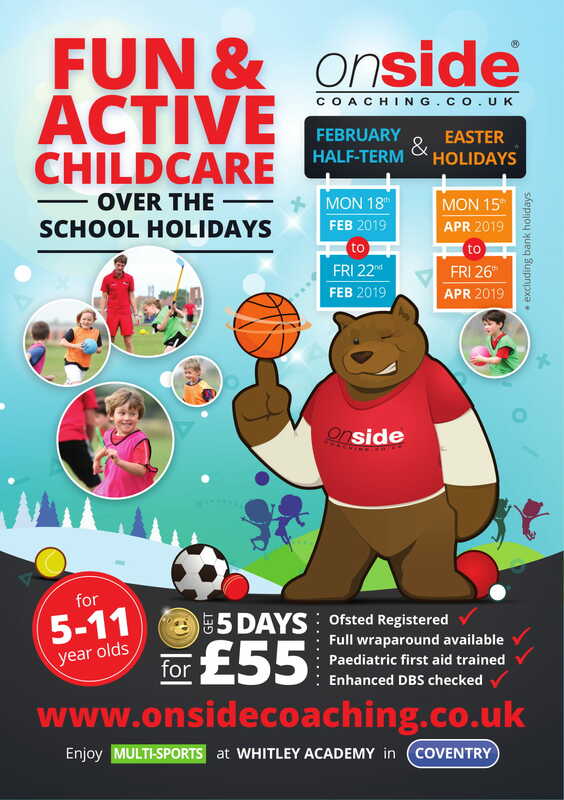 Are you looking for a holiday club in Coventry that will keep your children active and entertained throughout the school holidays? Come and join Onside Coaching’s holiday camp! 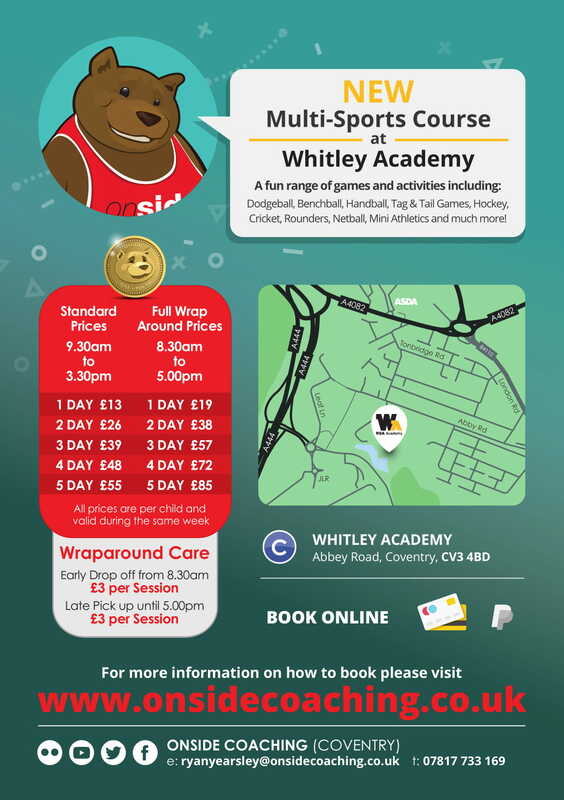 We are running at Whitley Academy in Coventry during all half term and school holidays! To book your child’s space, please visit onsidecoaching.co.uk or email RyanYearsley@onsidecoaching.co.uk for more information. Posted on January 21, 2019 by Nikki. This entry was posted in Companies, Holiday Clubs In Warwickshire.